Their first release, ?Eye of Horus? received huge airplay from the likes of Paul van Dyk, Armin van Buuren, DJ Ti?sto, and many others. Due to the tracks huge success it was licensed to Fundamental Recordings in Holland and reached number 4 position in the Dutch Dance charts. ?Solid Globe has got hold of it. Eye Of Horus was always quite light in terms of style. That didn't stop it from having an army of admirers.? (DJ Magazine, July issue 2004). Not only that, but it was also featured on many successful compilations such as Gatecrasher Resident Transmission 02, Viva Club Rotation, Mexico Love Parade, Energy 03, to name but a few. After finishing their contract with Euphonic Records, Fila met with Andy Prinz and they decided to launch their first sublabel of Offshore. Upcoming Egyptian releases would follow. Their first release through Offshore Music Switzerland / AP Pro Audio ?Spirit Of KA' already made it on numerous playlists. The track has already been played several times by Paul van Dyk and Markus Schulz who did a remix for it. 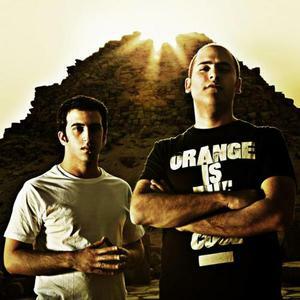 Rising stars from Egypt, Aly & Fila join an increasingly growing list of extremely talented DJ's and producers for the future. They need no introduction as Egypt's most talented and demanded DJ's. They have played alongside the worlds biggest DJ's and at the country's hottest venues as well as some of Germany's and Switzerland's biggest clubs and events. They have been seen spinning with Armin van Buuren, Blank & Jones, Johan Gielen, Tall Paul, Misja Helsloot, Darren Tate, Sonique, Sultan& Tonedepth, John '00' Fleming, Scott Bond, Ben Lost, Satoshi Tomiiee, Darren Christian, Sonorous, Robert Nickson, Kyau vs. Albert, Andy Manston and many more. They were also featured in club tours such as Ministry of Sound, Clockwork Orange, Godskitchen, The Gallery and Renaissance. Also spining in year 2005 at Nature one event and at the main stage of the famous Street Parade in Switzerland.